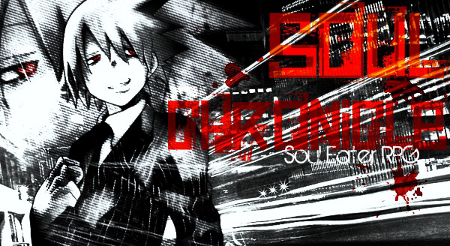 Soul Chronicle is the latest RP forum based off the hit anime Soul Eater.Here at Soul Chronicle you can RP as a Weapon, Miester, Kieshin or even a Witch.This is a user friendly site that is a good place for those who are new to RP. Rain and Ulquiorra4 will be doing a mission for promotion to get in on it post your team here. A new Naruto RP Forum is now open. This is the Project the admins have been working on. Hope you all enjoy. here. » Welcome to the mission room. Please select a mission. Ladies and Gentelmen, teachers and students, n00bs and veterans! All are welcome and encouraged to enroll or teach classes that will benifit everyone. We are here to help and learn. This is where you enroll for a teaching or being a studen. Availability: When you are available to teach. List Of Classes - Brief explination. ~RP For Beginners - Learn what roleplaying is and the basics of RP. ~RP Education - Proper RP ediquet, The DO's and DON'T's of RP. ~Battle RP Education - A special course for RP battles which should apply for any and all fights that go in an rp. ~Descriptive writing - The class which helps you be more descriptive by relating to your characters and their surroundings.